Well, the 2014 All-Stars have been announced, and as expected, no baseball fan is happy. There are several notable players that were absent from the rosters for one reason or another, and while the bulk of these guys will end up making it (either through injuries or the Final Vote campaign), they shouldn’t have even had to wait this far – they should already be All-Stars. I think that these eight players were the most egregious snubs this year. Hopefully, we’ll see all of them at Target Field next Tuesday anyway, even if they didn’t hear their names called on Sunday night. Brian Dozier. I think it’s a crime that Dozier won’t be playing in the All-Star Game at Target Field, his home park. Dozier has had an incredible season thusfar in 2014, despite a paltry .234 batting average. Dozier has smashed 16 homers and stolen 15 bases while walking at a double digit clip, pushing his overall stat line to .234/.342/.416. You can talk about how great it would be to see Justin Morneau return to Minneapolis in the Midsummer Classic, but what about Minnesota’s current breakout star getting some love, especially considering the other Twins in the game are a reliever (Glen Perkins) and a catcher (Kurt Suzuki) that only joined the team this offseason and could be dealt leading into the trade deadline? Corey Kluber. 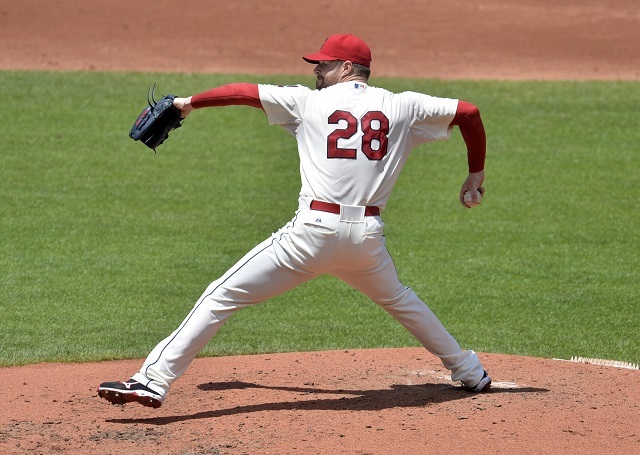 It’s a damn shame that Kluber pitches in the same division as Max Scherzer and Chris Sale (more on him later), because he really deserves some more attention. Kluber snapped up the “ace” mantle abandoned by Ubaldo Jimenez when he left the Indians this past winter, and he’s been an absolute monster since. This year, Kluber has struck out 137 while walking only 30 in 125 2/3 innings, pitching to a more than respectable 2.86 ERA in the process. The only pitchers more valuable than Kluber in the American League this season have been Felix Hernandez and Jon Lester. But hey, let’s leave him off the team because no one in Cleveland will care. What a joke. Anthony Rendon. 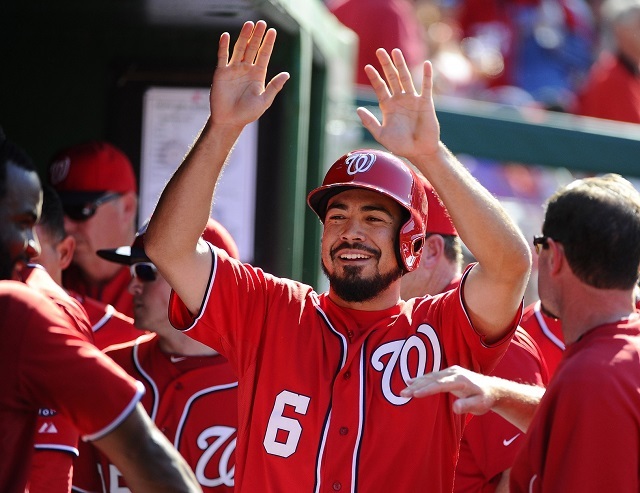 Rendon is very quietly proving himself to be one hell of a catalyst for the Nationals this year. Playing at both second and third this season, Rendon has hit .282/.340/.483 with a dozen homers. If you think of him as a second baseman now that Ryan Zimmerman and Bryce Harper are back in Washington’s lineup, no second basemen in baseball has had a better year than him. If you think of him as a third baseman, where he got the bulk of his playing time earlier in the year, he’s merely been the fourth-best hitter. Brewers fans did an awesome job stuffing the ballot box for the oft-injured Aramis Ramirez, and an undeserving David Wright or Pablo Sandoval would have won the fan vote had Ramirez fell short. It’s a shame that that numbers crunch forced one of Rendon, Matt Carpenter, or Todd Frazier out of the game, but here we are. Garrett Richards. I think Richards got a little extra motivation when he was informed earlier on Sunday that he wasn’t be an All-Star – all he did to the Astros yesterday afternoon was strike out 11 while walking one and allowing one run in 7 1/3 innings. 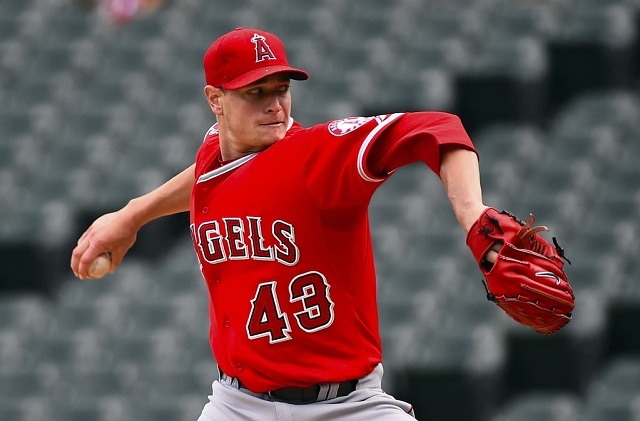 I think Richards actually suffers being in this Angels rotation – Tyler Skaggs and Hector Santiago were acquired as part of Anaheim’s big offseason move this past winter, and the duo of C.J. Wilson and Jered Weaver are making buckets of money. Richards falls under the radar, and he’s better than all of them – his 2.71 ERA is solid, and he’s struck out more than a better per inning this year while getting ground balls at a near-50% clip. For a team that’s been as good as the Angels this year, it’s a shame that their only All-Star was Mike Trout. Anthony Rizzo. Rizzo is one of the few things about the 2014 Chicago Cubs that isn’t a joke, along with departed teammates Jeff Samardzija and Jason Hammel and All-Star Starlin Castro. 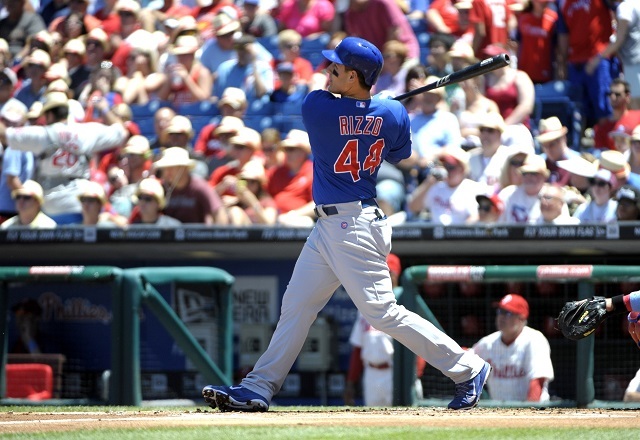 Rizzo is having by far his best season ever in 2014, smashing 17 homers while hitting a sterling .276/.384/.487. Both Paul Goldschmidt and Freddie Freeman are deserving All-Stars, but it sure would have been nice if the National League brought Rizzo along as their third first baseman instead of going with just those two. Chris Sale. This one baffles my mind, and the only possible explanation is that players forgot about Sale while he was on the DL earlier this year. 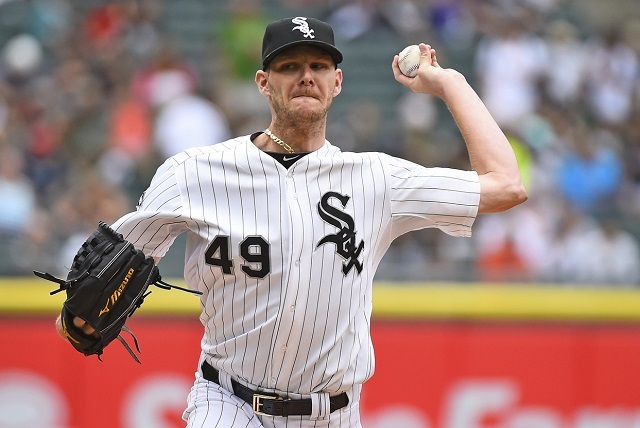 In 13 starts this season, Sale has struck out 96 hitters, walked 16, and has a 2.16 ERA. Even though he has five starts fewer than the best pitchers in the league, Sale is still a top ten pitcher (if not better) in the AL, and he’s somehow not going to be in Minnesota. Hopefully, he’ll dominate the Final Vote and make the trek north to Target Field. Kyle Seager. Before Robinson Cano got all the headlines among Mariners hitters in Seattle, there was Kyle Seager. And what Seager has done so far in 2014 is better than what he did in his excellent 2012 and 2013 campaigns. 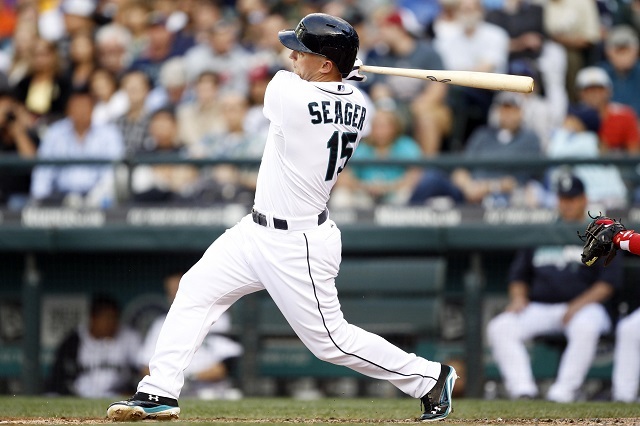 Seager has already hit 13 homers this season, and his 3.3 fWAR is a top 15 mark among all hitters in baseball. Both Josh Donaldson and Adrian Beltre deserved to be All-Stars, but so did Seager. Also, Seager isn’t some sort of flash in the pan like you see so often with some All-Stars each year – this is his third-straight three-win season in Seattle, and he’s hit 20 homers in each of the first two campaigns. For my money, not only is Seager’s snub egregious, he’s one of the most underrated players in all of baseball. UPDATE: Seager has replaced the injured Edwin Encarnacion on the roster. There’s one!
. @Mariners third baseman Kyle Seager will replace Edwin Encarnacion on the American League's #ASG roster. 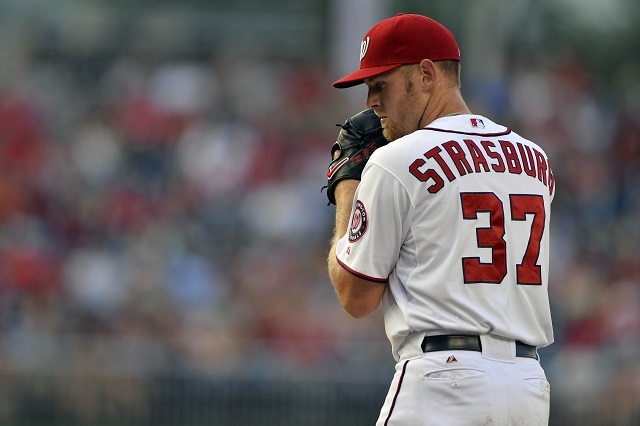 Stephen Strasburg. And then, there’s the fallen star in Washington. As baseball fans, I know we get jaded from time to time. Strasburg has a 3.53 ERA this year, and after the 2012 shutdown fiasco, there’s this perception that he’s just not that great. But what if I told you that in 2014, Strasburg has the best strikeout to walk rate of his career, is on pace to finish with the highest fWAR of his career, and is still averaging 94 on his fastball? Yeah, he’s not the same guy that would touch 100 multiple times a game anymore, but Strasburg doesn’t *need* to do that – he’s dominant without the need to pump gas over the plate on every pitch. Maybe, just maybe, we should realize that he’s just as good (if not better) this way as he was as a fireballing stud prospect. Guess what? He’s still one of the best pitchers in baseball, and he’s still an All-Star.